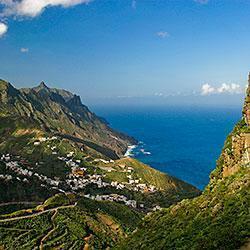 Beautiful Tenerife is the largest of the seven Canary Islands, which form this Atlantic Ocean archipelago. 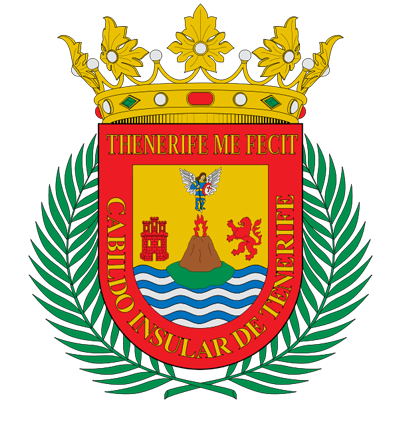 Tenerife’s vibrant capital city Santa Cruz comes alive every year in February or March with the arrival of the Carnival, considered to be one of the largest in the world. 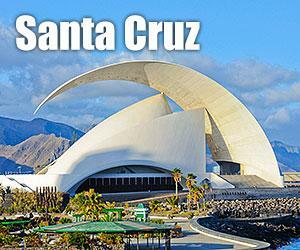 Tenerife is the only Canary Island with two airports, (North Airport (TFN) and South Airport (TFS). This sun-kissed holiday hotspot welcomes millions of people every year who are looking for relaxation, adventure, good times and fantastic weather! From the volcanic lunar landscape of Mount Teide National Park (the highest peak in all of Spain) to the exciting resorts in the south of the island, Tenerife is packed with beautiful coastlines, mountains, fantastic golden sandy beaches and has two World Heritage Sites (the city of San Cristóbal de La Laguna and the Teide National Park) and 42 natural protected areas. All of this is waiting to be discovered… and we’ve made it so easy. 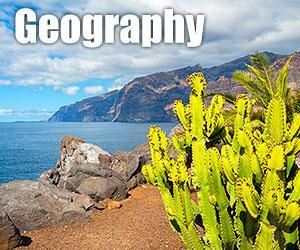 Simply click your way through our guide and see the Tenerife Map to find out what adventures are waiting for you. 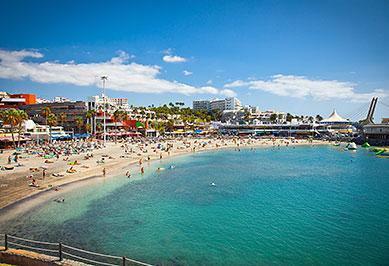 The wonderful climate draws people to the island all year round. 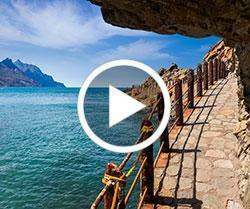 Maybe you want a break away with the kids? 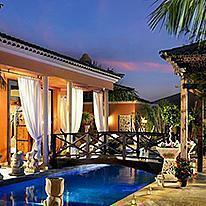 Perhaps you would like to escape with your loved one for a romantic getaway in the sun? 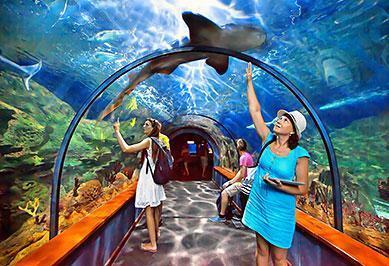 Planning a fun-packed week with a group of friends? 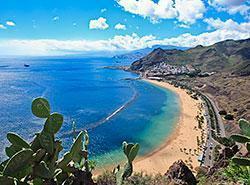 Whatever your circumstances, spain-tenerife provides all you need to know about this holiday destination; from where to stay for maximum luxury at the best prices to detailed information about individual resorts and what to expect when you arrive. In short, we help you take home the best memories and give you all the information you need for that unforgettable holiday experience. 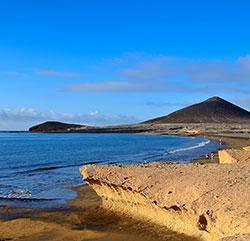 Whether you are interested in water sports, clubbing, chilling out on the beach, the endemic plant life of the island, discovering hidden gems, exploring typical Canarian villages, culture, events or taking a cable car to Spain’s highest peak, Teide, you are sure to have a great time. 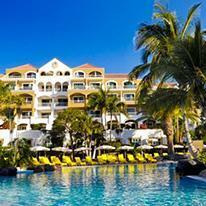 And we can help you choose which hotel or apartment to stay in to best suit your needs. Use this comprehensive guide to easily and conveniently navigate your way through pages of information that help make all-important holiday decisions. We have details about all the best beaches in excellent resorts, interesting suggestions on what to do, places of interest and a gallery of pictures that will tempt and delight. 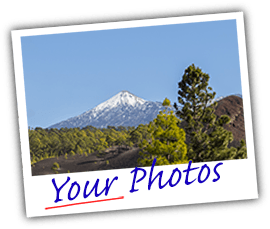 Why not share holiday memories by uploading your own photographs on our website? We show you all the places to go. Whatever your taste – you will find something to interest you. 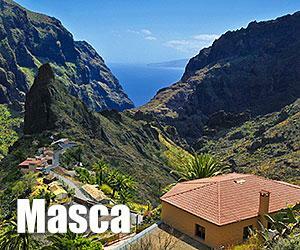 From the island’s capital Santa Cruz on the northeast coast to the deep ravines of picturesque Masca in the west, we will give you some great tips. 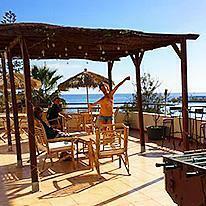 Here you will find the best hotels, including Apartments, Resorts, Hostels and Villas in Tenerife. Whatever your budget - we offer you the best! 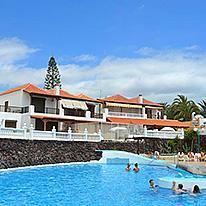 spain-tenerife.com handpicks hotels to guarantee you luxury, comfort, great hospitality and above all, fantastic prices. 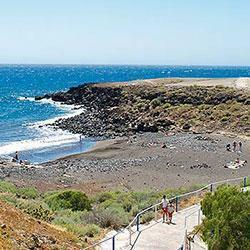 Do not miss the sophisticated coastal resort of Costa Adeje where we recommend booking into the 5-star Roca Nivaria Gran Hotel or the equally splendid Hotel Jardines de Nivaria. For 4-star luxury choose Hotel Colón Guanahaní which is near the golden beach of Playa Fañabé or Hotel Jardín Tropical which is close to the seaside town of San Eugenio where you will discover the picturesque marina of Puerto Colón. You can stay in the ultra chic Playa del Duque at the palatial Gran Hotel Bahía del Duque Resort, an exceptional sanctuary of luxury on the south-western coast. 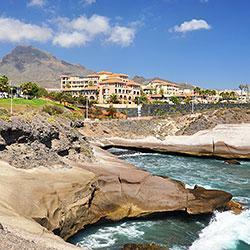 In the north, explore the scenic resort of Puerto de la Cruz, which is home to the lovely beach of Playa Jardín. Two fantastic hotels in this popular town are the 5-star Hotel Botánico & the Oriental Spa Garden and Hotel Beatriz Atlantis & Spa. 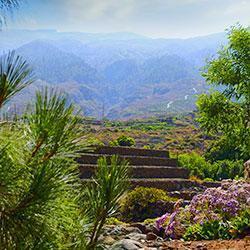 And for you golfers we suggest a trip to Golf del Sur, with its lush greens and fairways. 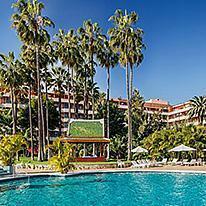 The 5-star Sandos San Blas Hotel Reserva Ambiental & Golf is a beautiful retreat in this area. You will find everything you need to plan and prepare for your holiday including some advice on what to bring and practical information about medical care and disabled facilities. Check out the current weather as well as the forecast, satellite images and the average temperatures. In this section there is a wealth of travel information; from finding car rentals, quality hotels to other tourism services. 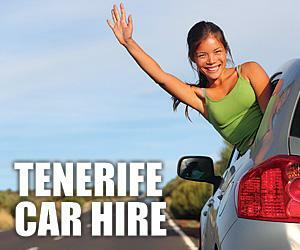 All you have to do now is navigate your way through our pages to plan your dream holiday in Tenerife.